I put this question to you… can volunteers consume alcohol whilst they are engaged in volunteer activities? This is a concern for many volunteer-based operations, all volunteers and the work they perform for the community. 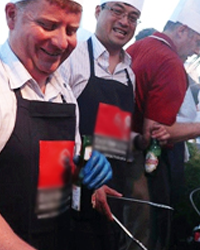 To say to volunteers for the first time that they cannot consume alcohol while performing volunteer tasks may present a major challenge (picture telling the sausage sizzle king that he cannot consume a beer during cooking), and this is largely due to the culture which has been created. Volunteers have been allowed to consume alcohol in some way, shape or form whilst engaged in work activities for many years. The safe answer to this question is NO. However, the volunteer work environment has changed and will continue to change. This brings us to a timely reminder to all Committees/Boards and their members about their duty of care as a Committee. Let’s say you are volunteering at a festival or a function at your local club to assist with fundraising. There is no question that you will ensure a safe working environment for all volunteers at all times, however you will also need to consider that whilst working, alcohol is not to be consumed. It would be, and is, contradictory that we would agree to the above mentioned safe guards and putting the steps in place to ensure risks are managed for a safer working environment, yet when it comes to persons consuming alcohol whilst working, we tend to turn a blind eye. Committees/Boards have a primary duty of care to ensure the health and safety of all persons who are engaged in volunteer work and to look after the safety of volunteers whilst they are engaged in performing work duties. A Committee/Board will make the decisions and bear the responsibility for the consequences of these decisions, with possible legal repercussions. With this is mind, if alcohol is going to be consumed, then can every Committee/Board Member ensure that the persons who are drinking alcohol and performing their various work duties will be free from health and safety risk to both themselves and others throughout the duration of their “shift/s”? This includes physical risks as well as psychological risks too such as bullying, harassment and etc. The Board/Committee is not immune to this and should not be intoxicated while making important decisions as it may impede on the decision making process which could have dire consequences if any reckless decisions are made and potentially hold Committee/Board Members as criminally negligent. It is a fact that the volunteer working environment is changing, with respect to what volunteers can and can’t do. Furthermore, as Committees transition, and as a result of them being bound by constitutions which is further compounded by the Federal Work Health and Safety Laws which were introduced as of 1st January 2012, they do have a primary Duty of Care as per Section 19 of the Work Health and Safety Act 2012. They need to ensure so far as reasonably practicable, the health and safety of ALL workers and other persons (including volunteers). You cannot, as a Committee, disqualify your Duty of Care. One way to ensure your Duty of Care is to develop a formal induction for your volunteers and ensure all volunteers complete the induction and understand their respective duties, the potential risks involved and their responsibility towards these prior to commencing work. In my opinion, this would include the consumption of alcohol whilst performing work duties; especially where higher risk work duties are involved. Many volunteer-based organisations may oppose an alcohol ban for several reasons, however with the potential risks and possibility of litigation, organisations should be proactive and try to implement an alcohol policy for volunteers. As you may be aware, to change a culture in any organisation is a process, and if you develop and agree on some type of no-alcohol policy it will be a step in the right direction. Not all the volunteer work areas and tasks are deemed ‘high risk’ so to suggest developing a no-alcohol policy with exclusion/restrictions may seem as a viable solution. However, this approach would be difficult to police and the grey areas would generate other issues, and most importantly place into question our primary Duty of Care. To eliminate any grey areas for volunteers consuming alcohol during work, a blanket no-alcohol policy may be your best solution for ensuring your volunteers safety.